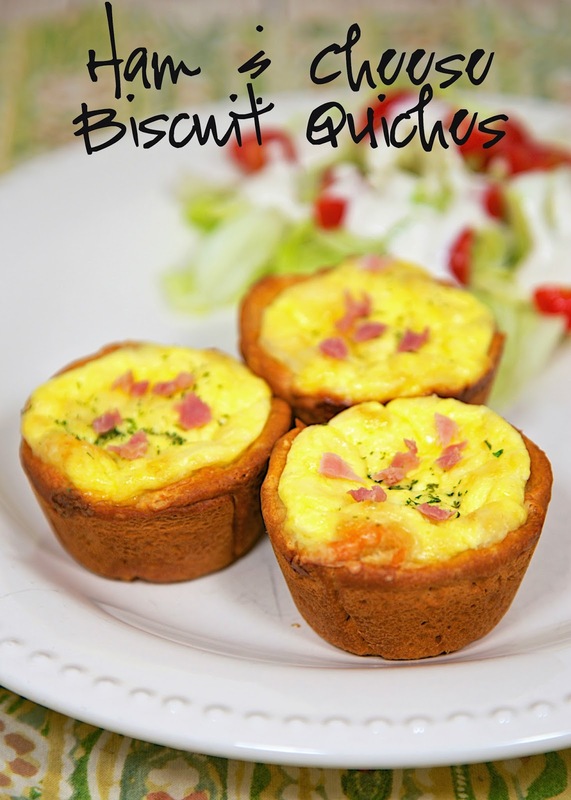 Ham & Cheese Biscuit Quiches Recipe - ham and cheese quiche baked in a biscuit crust. Great way to use up leftover holiday ham! Freeze leftovers for a quick meal later!! Easter is this weekend. If you are like me, you will have some leftover ham. YAY! Honey Baked Ham is my absolute favorite!!! We always get a big ham so we have leftovers to cook with. These Ham and Cheese Biscuit Quiches are a great way to use up any leftover ham. I used Pillsbury Grands biscuits for the crust. I split each biscuit into two and pressed them in the muffin pan. I used my favorite quiche recipe for the filling. It was the perfect amount for the biscuit cups. They quiches tasted great! We had them for dinner with a simple salad. These little quiches also freeze well for a quick meal later. Preheat oven to 375 degrees. 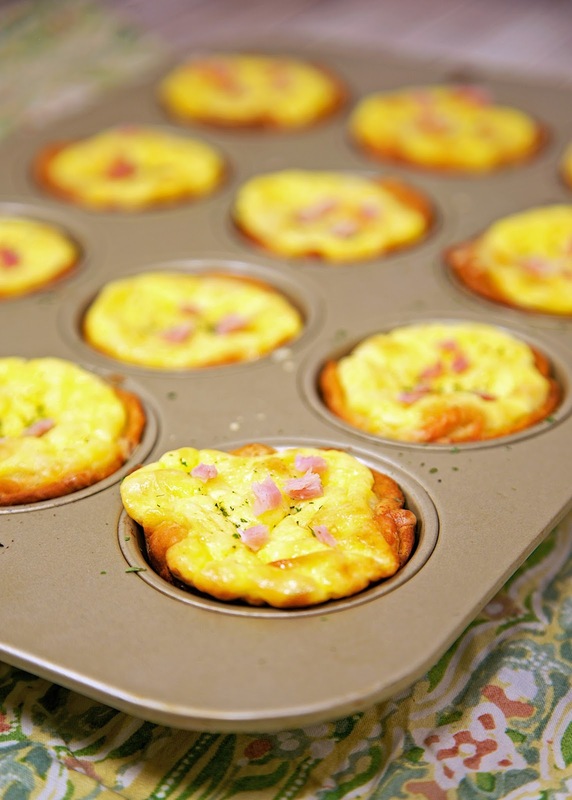 Spray 16 muffin pan cups with cooking spray. Separate dough into 8 biscuits. Split each biscuit into 2 separate circles and press into sprayed muffin pan cups. Whisk together eggs, cream/milk, honey mustard and sour cream. Sprinkle ham and cheese evenly into all the biscuit cups. Top ham and cheese with egg mixture. YUM! Wonderful dish for a nice Easter brunch. Thank you for posting this wonderful recipe.